After breaking his arm, Dr. Eric Mitchell is forced to seek help with his rural veterinary practice in upstate New York. The temp he hires is a surprise. At first glance, she seems too fragile to handle the large animals he caters to, and emotionally, she seems fragile as well. Her smiles are rare and don’t reach her eyes, especially around Joey, Eric’s ten-year-old son. Two years after losing her husband and son, Dr. Alison Truesdale accepts a six-month position far away from her New York City home in an effort to pull herself together and move on with her life. A new environment and new challenges at work should help her to begin again. She hadn’t counted on a boss with an attitude. A man wary of women because of a bitter divorce and custody battle. She hadn’t counted on sharing a house with a sweet young boy, a painful reminder of her loss. As trust begins to grow between Eric and Alison, another youngster enters their lives. An abused but street-smart runaway from the city hides in Eric’s barn which doesn’t thrill the vet. 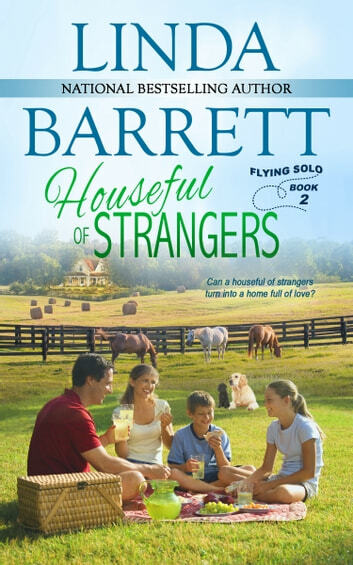 Surprisingly, this teenage girl might hold the key to transforming a houseful of strangers into a home full of love.